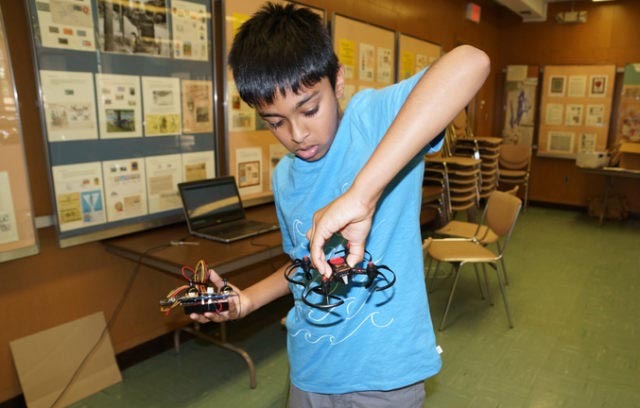 Drone & Code STEM Summer Program | Learn to Code and Take Flight! STEM takes flight in this hands-on drone engineering program! Your child will learn the fundamentals of drone flight and control, then learn to code flight instructions. • Option to purchase the drone kit at $225. This is an indoor drone only. For a 5×5 m (15×15 ft) or larger room. Your child will first learn about the different sensors and electronic modules on drones and controllers. 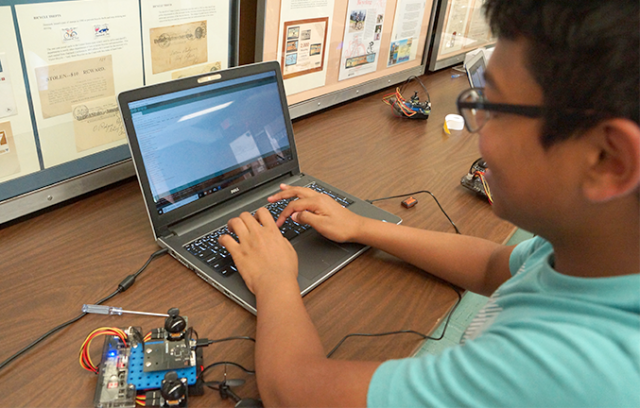 Next, using C++ coding, campers will tackle several flight challenges, with hands-on testing, trials, and troubleshooting that demonstrate the scientific approach. Critical thinking, teamwork, and fun are part of every day’s activities! Coding experience or not, we will advance your child’s knowledge. 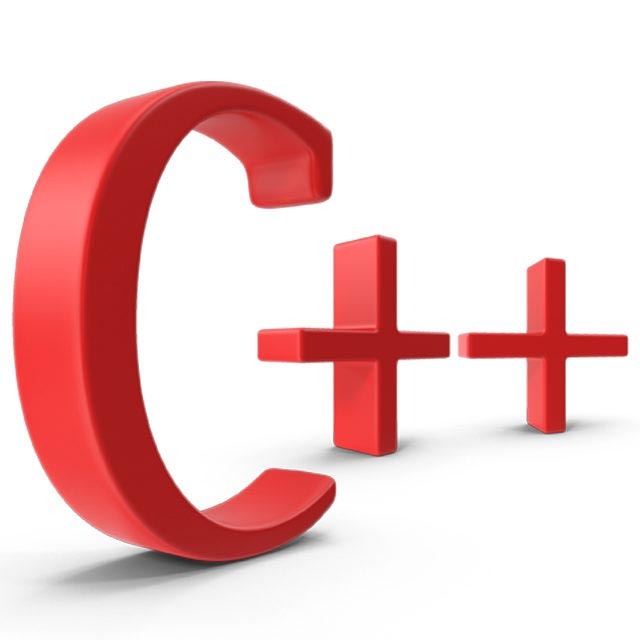 (rated a) 10 – because before I came here, I didn’t know how to code, but I learned a lot! (rated a) 10 – because the instructors helped us and let me learn. (rated a) 10 – My daughter said it was a lot of fun and she learned quite a bit. No previous coding experience is required, but children with coding experience will find challenges that meet their skill level. All campers go home with the code they write, and the drone kit can be purchased so your child can continue exploring long after the week is over. Games and flight challenges make the experience fun and engaging! For instance, we play a game where drones take to the air and engage each other by firing infrared beams. At the end of the week, your child gets to showcase their work to friends and family. Why choose EOS Drone & Code? This hands-on applied science program is structured to keep your child engaged, while offering the freedom to explore, create, test, and problem-solve alone or with a buddy. It’s a perfect mix of coding, hardware, and three-dimensional space – plus you get to fly! Your child just might discover a new passion.